Learn your blood, help save a life, and snag a free t-shirt. 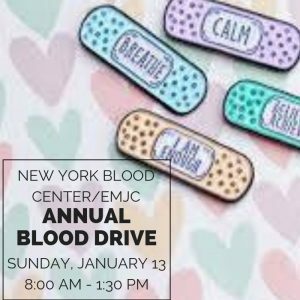 On January 13, 8:00 a.m. – 1:30 p.m. , the New York Blood Center will be stationed at EMJC. Walk-ins are welcome, but if possible please sign up for an appointment by clicking the button below.